Hello Hello! I finally got my mini-album done for my Cozumel, Mexico trip! It’s been several months since the trip but I am so easily distracted in my art life….first I got a Gelli Plate, then I found some awesome heavy-weight watercolor paper at a thrift shop, then I started experimenting with video….you get the picture–easily distracted. 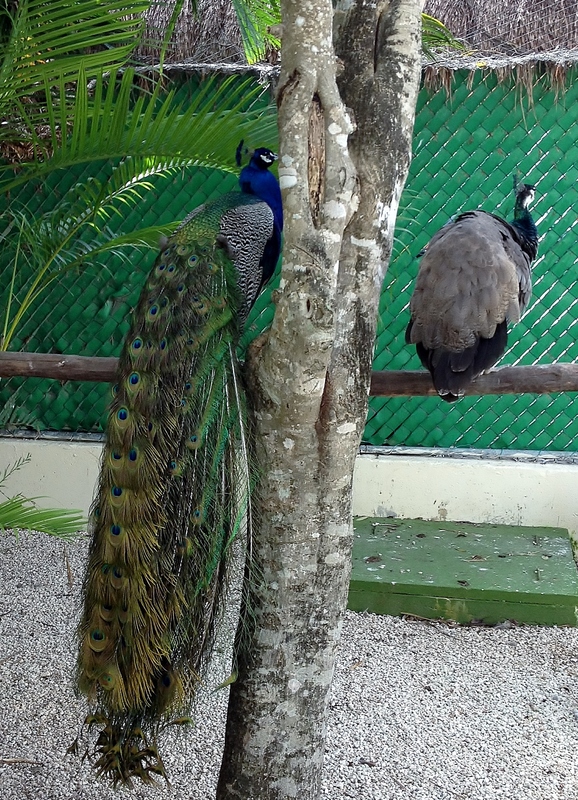 I am sharing the picture above of some peacocks because it is one of the pics in the finished album and because I was fascinated with them while on vacation. Once I discovered the peacocks on the grounds of the hotel I pretty much went and saw them every day. Oh yeah–mini album–right! I did a short video flip-through on the album. Thanks for looking!